When we say “small batch”, we truly mean it! Few of our #ScratchMade spirits make it out of the distillery shop simply because they’re extremely limited and precious. Most of our limited releases sell out the very first weekend that they hit the shelves. 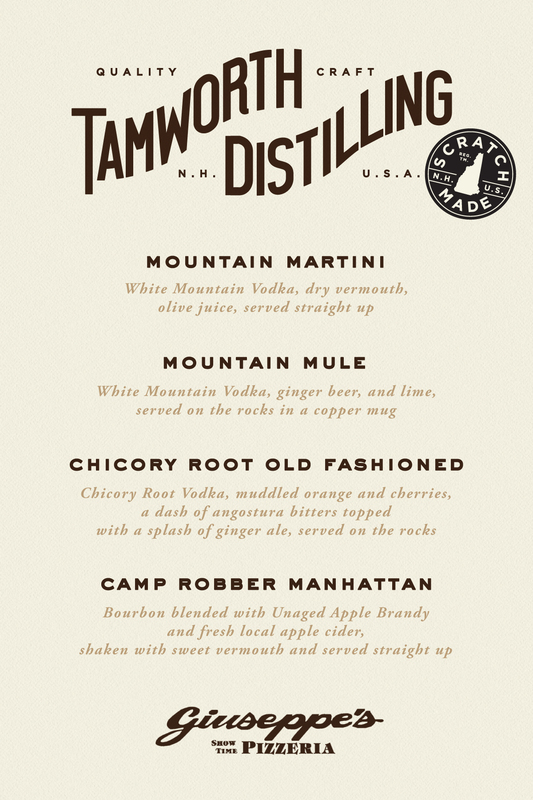 However, we are able to produce large-scale distillations of select spirits like White Mountain Vodka, Art in the Age Chicory Root, & Camp Robber Whiskey, which are distributed throughout New Hampshire. 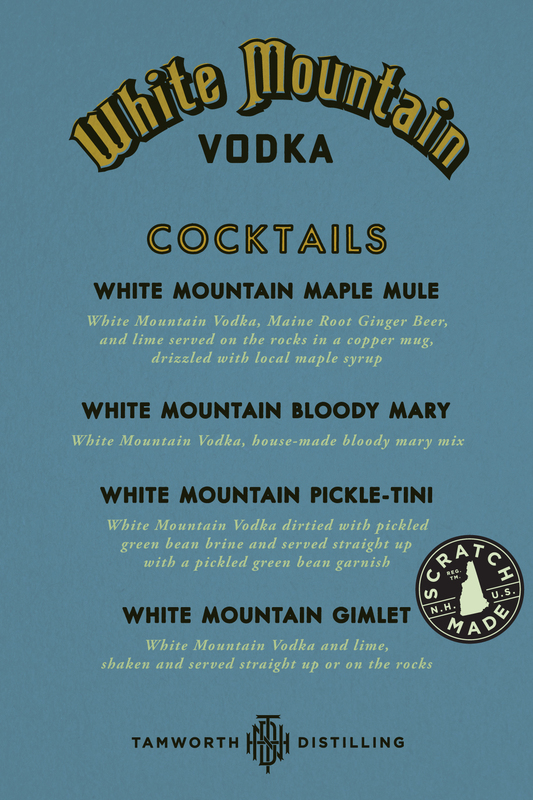 Experience the White Mountains with four classic White Mountain Vodka serves. As we thaw out from a long winter, we’re beginning to look forward to the Squam Lake Inn opening for the warm season. Squam Lake Inn serves beautiful craft cocktails on their deck and screened porch. One of our first partners in the industry whom we share a similar vision with. 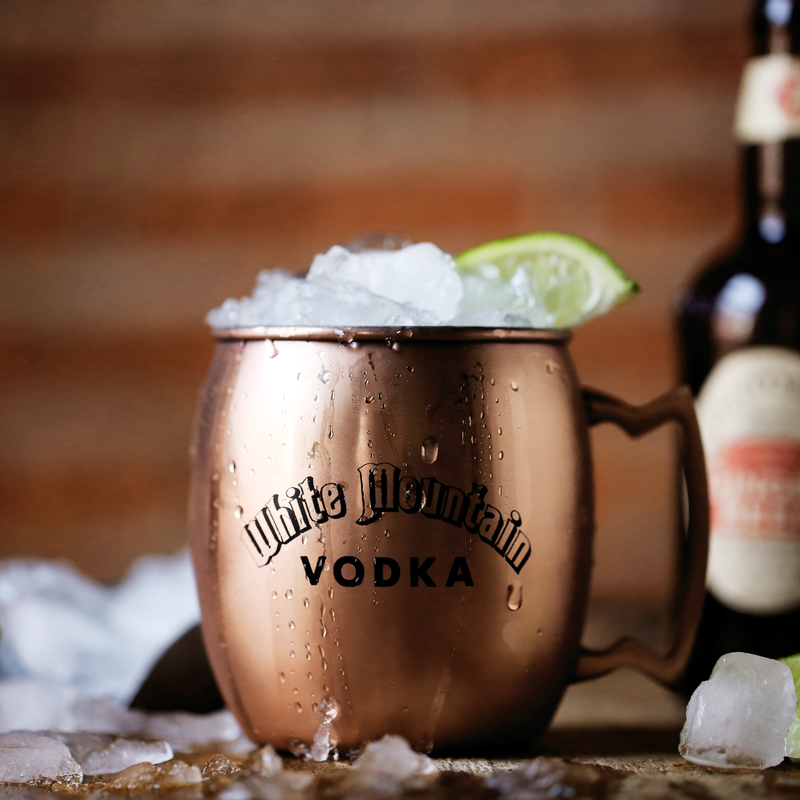 Nothing beats a freshly made brick oven pizza with a White Mountain Mule. Experience their amazing selection of craft beers and a mean with White Mountain Vodka Bloody Mary. Quintessentially New Hampshire with a cozy pub and fireplaces. Their cocktail list features all 3 of our spirits: White Mountain Vodka, Art in the Age Chicory Root, and Camp Robber Whiskey. Owner and chef Evan Mallett was just nominated for a James Beard award for Black Trumpet’s incredible menu, which includes Art in the Age Chicory Root. 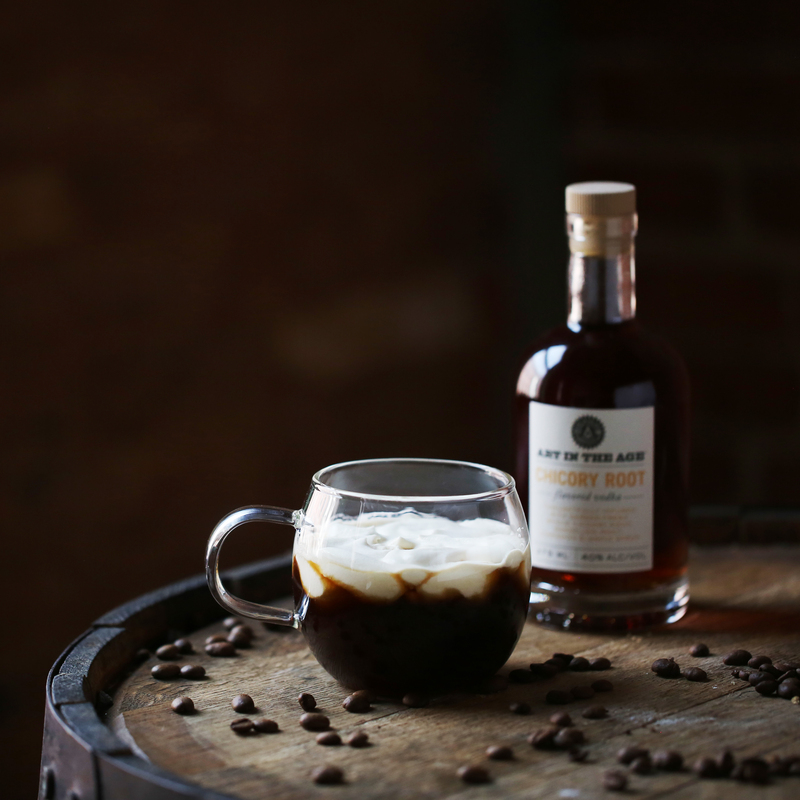 7th Settlement Brewing has a strict commitment to staying local, and we’re glad that it includes White Mountain Vodka, Art in the Age Chicory Root, and Camp Robber Whiskey! 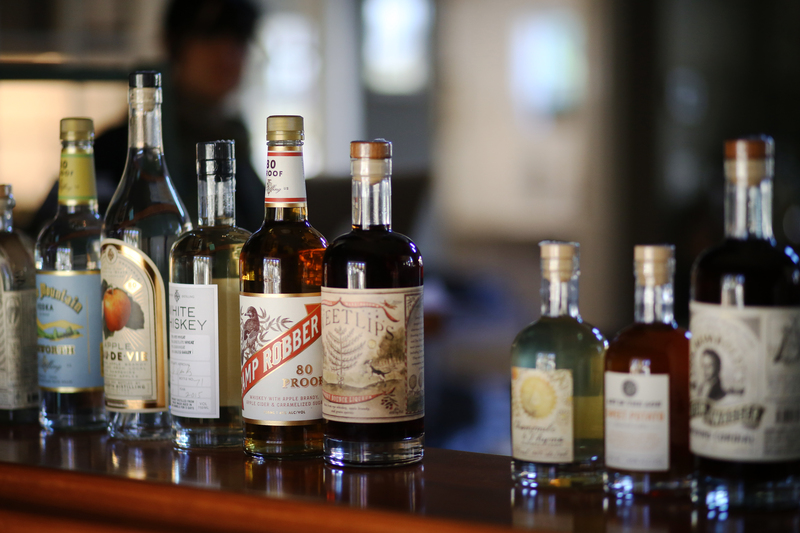 A Beautiful Inn on lake Winni offeringWhite Mountain Vodka, Art in the Age Chicory Root, and Camp Robber Whiskey. Why not taste all three and stay the night? The name says it all – and they offer all 3 of our distributed spirits! 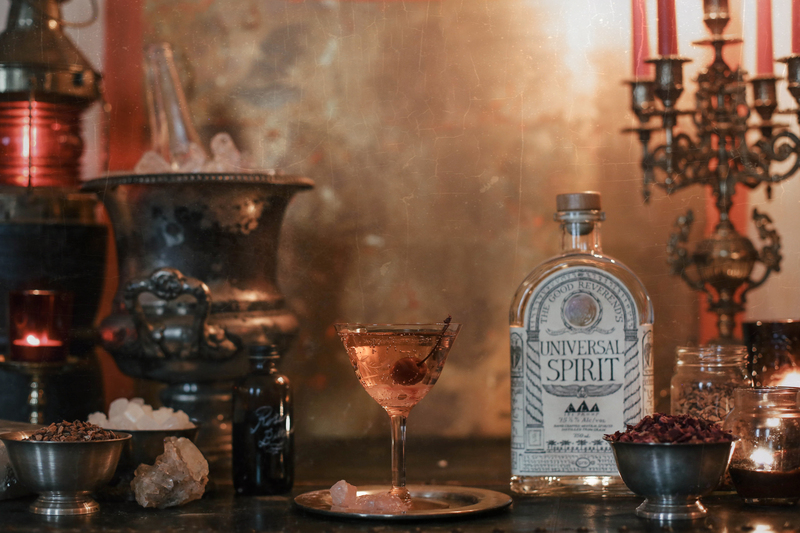 Masked in mystery and inspired by legend, love potions have been brewing for centuries. Discover the powerful properties of these homemade brews with The Universal Spirit! This Valentines Day we’re offering a Universal Spirit Valentine’s Day Gift Kit for $50. The kit includes: dried herbs need for infusing, sugar for simple syrup, mason jar, stainless steel strainer and directions on how to concoct your own recipes and love potions. Once you obtain a bottle of your own, enjoy these recipes to create romantic DIY gifts, or to imbibe with someone special. In pitcher blend all ingredients, cover and set aside until ready to serve (refrigerate if serving more than 2-3 hours later). To serve: In a cocktail shaker with ice, add half the Cosmopolitan mixture (or as much as you like). Shake until well chilled and strain in chilled up glasses. In a clean jar with an air tight lid, add the Gentian, Wild Cherry Bark, Wormwood and Universal Spirit. Seal the jar and store in a cool, dark place for one week- shake the jar daily. Strain the Bitter mixture through a cheesecloth lined sieve, pressing on the solids to extract as much liquid as possible, discard solids. Add an equal amount of water to the amount of bitter solution, cover and set aside. In another clean jar with an air tight lid, add the Rose Petals, Rose Hips and Universal Spirit. Seal the jar and store in a cool, dark place for 3-5 days- shake the jar daily. Test the solution after the 3rd day for aroma and taste, and every subsequent day until a desired strength is achieved. Strain the Rose mixture through a cheesecloth lined sieve, pressing on the solids to extract as much liquid as possible, discard solids. Add an equal amount of water to the amount of aromatic solution. To blend the bitters, blend half the Bitter Solution with half of the Rose Solution. Adjust the flavor by adding more Bitter Solution or more Aromatic Solution and dilute with additional water to taste. In a champagne flute or coupe glass, add the Lump Sugar and dash with Rose Bitters. Top with Champagne and garnish with Cherries. Invoke a Violet Flame or Infinite Love and Celebration, serve immediately. In a double boiler, or in a microwave, gently melt the Chocolate chips. Add the Sweetened Condensed Milk, whisk to combine. Add the Heavy Cream and whisk to combine. Stir in the remaining ingredients, transfer to an air tight bottle(s) and refrigerate. Serve very cold over ice, ice cream, or with coffee. In a double boiler, or in a microwave, gently melt the White Chocolate chips. Add the Sweetened Condensed Milk, whisk to combine. Add the Heavy Cream and whisk to combine. Stir in the remaining ingredients, transfer to an air tight bottle(s) and refrigerate. Serve very cold over ice, ice cream, or with tea. 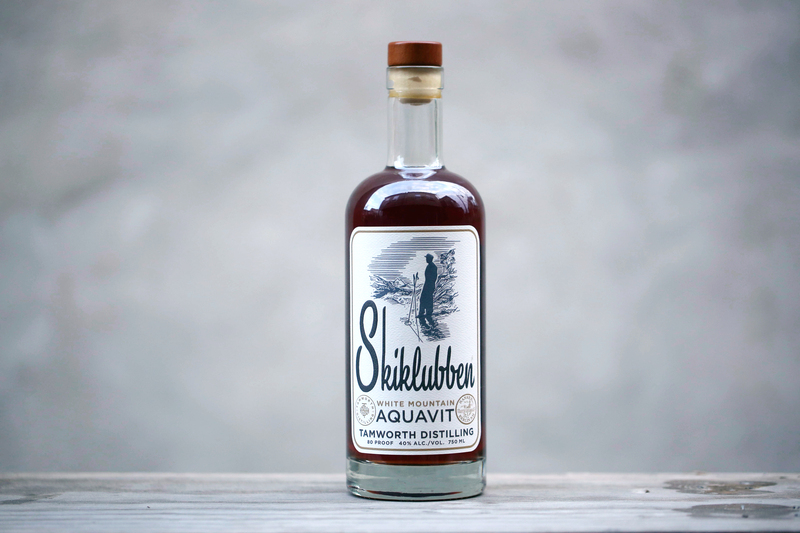 Tamworth Distilling & Mercantile has released Skiklubben Aquavit, a spirit inspired by the storied history of Nansen Ski Club in Berlin, NH. The Nansen Ski Club was founded in 1872 by a group of Nordic settlers, and has since become a ski institution — in fact, it is the oldest operating ski club in the country. A non-profit organization, it maintains cross-country ski trails in the area as well as its famous ski jump, which was recently restored to its former glory after being decommissioned in 1988. This interesting piece of New Hampshire heritage inspired the creation of Skiklubben Aquavit, a traditional Scandanavian spirit flavored with spices and herbs. The result is a delightfully warming dram, usually sipped neat or taken as a shot. Aquavit is a large part of Scandanavian drinking culture, consumed at celebrations and as an aperitif before dinners. Often, it is drunk as a finale to a drinking song called a snapsvisa, with a toast of “Skaal!”. Traditionally, aquavit’s main spice is caraway. 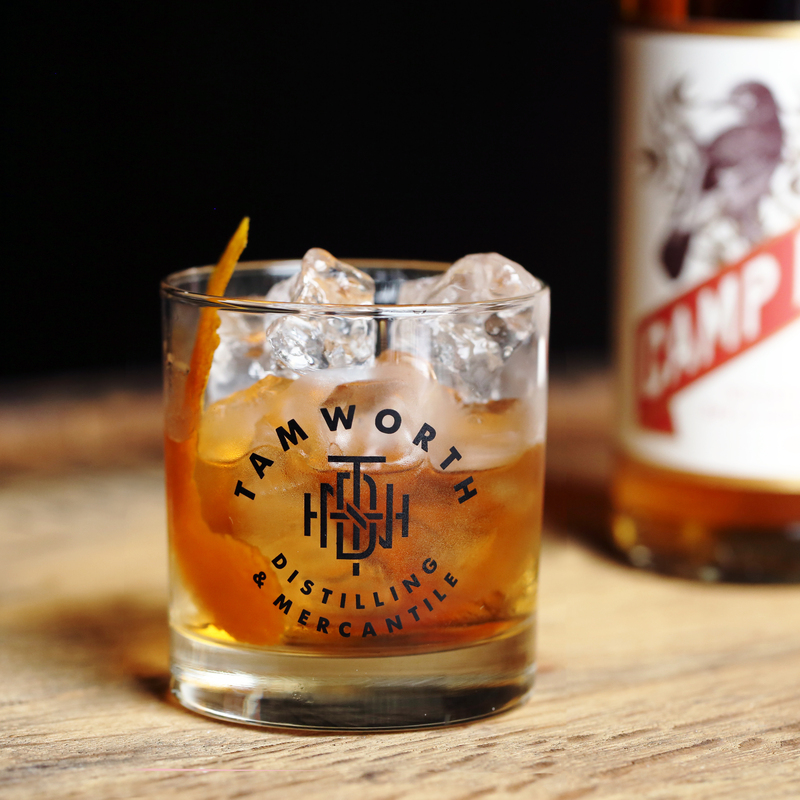 Tamworth’s version adds carrot and parsnip, members of the same botanical family, as well as clove, anise, and cardamom. The flavorful shot is a perfect winter sipper, and can also be used as a seasonal twist on classic cocktails like a Manhattan or a Swedish Mule. The baking spices combine with the malty sweetness of root vegetables to create a surprisingly unique mixing tool. The whiskey base (a blend of bourbon, barley and wheat whiskey) also adds complexity, serving as a rich background for the balanced spice of the other ingredients. 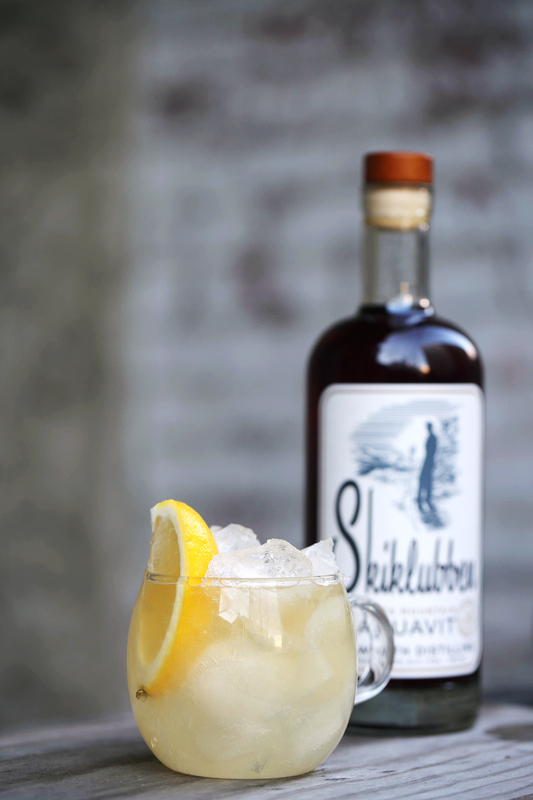 Whether sipped as a pre-ski bracer or an après ski celebration, Skiklubben Aquavit is the perfect spirit for the season. 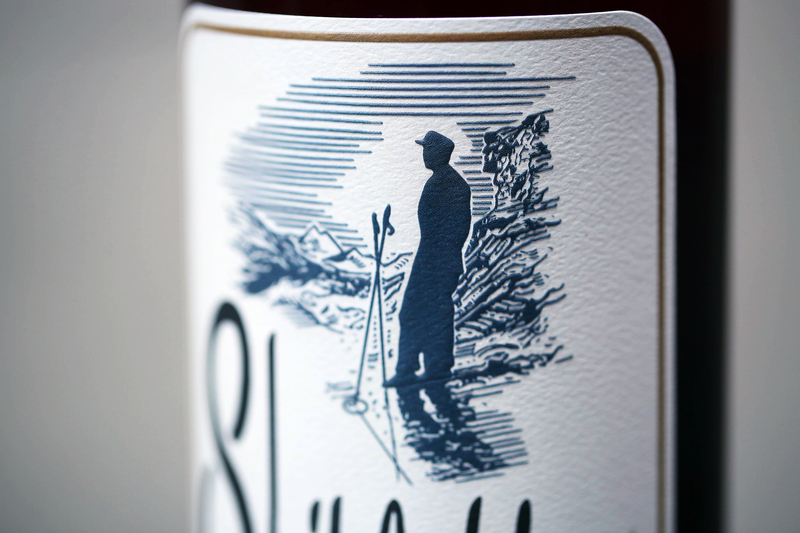 A portion of profits from each bottle sold will benefit Nansen Ski Club. Skiklubben will only be available at Tamworth Distilling & Mercantile, so interested skiiers should get a jump on planning their visit. Skaal!